Florentine Fra Filippo Lippi (Florentine, c. 1406-69) never should have been a monk, although after being left an orphan as a small child, with numerous siblings and with no relative to support him, he was sent to the Carmelite convent, where he was educated and took vows at age 16. 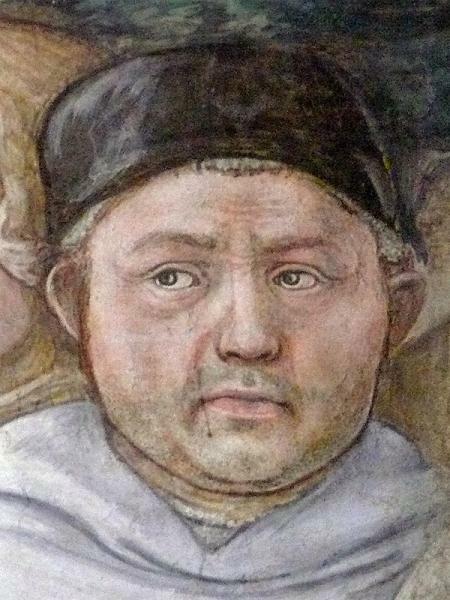 It was while he was there, watching Masaccio paint the Cappella Brancacci that he took up drawing. He showed enough talent for the prior allowed him to leave the convent in 1432 to study art (and earn enough money, he said, to fund the dowries of his six neices). Unusually, he seems to have learned his craft by his one, gradually developed an elegant, delicate line all his own. The young friar went to Naples soon after, where he may or may not have been abducted by Barbary pirates. His picaresque life, at least according to Vasari was full of rascally escapades, lawsuits, and forgeries. By 1438 he was in the employ of the Medici, who would intervene and get him out of several jams. At one point, the Elder Cosimo de' Medici had to lock him up in room to force him to complete a commission, but even then Filippo escaped out the window by a rope made of his sheets. As the years went on his art became more linear and delicate and wistful, often with fantastical backgrounds. 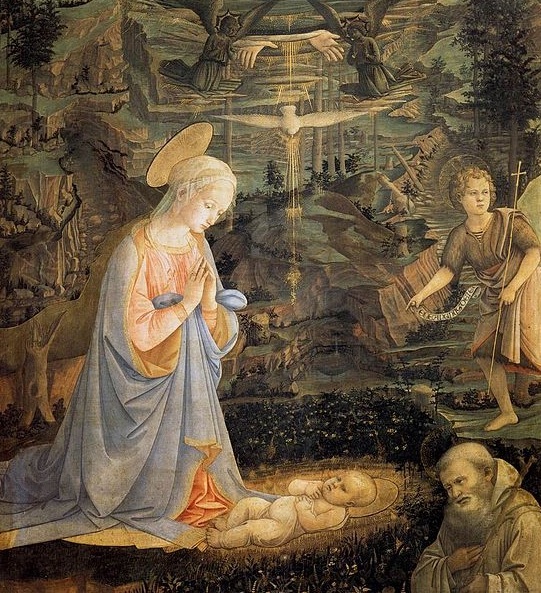 He especially became known as a painter of exquisite, ethereal Madonnas, one of whom he ran off with (the model, at least, a brown-eyed nun named Lucrezia, whom he met while working on his great fresco cycle in Prato cathedral). When she became pregnant, Cosimo intervened, and Pope Pius II forgave them both and released them from their vows, and they married. They had a daughter and son, Filippino Lippi, whom Filippo taught, along with Botticelli and Jacopo del Sellaio. 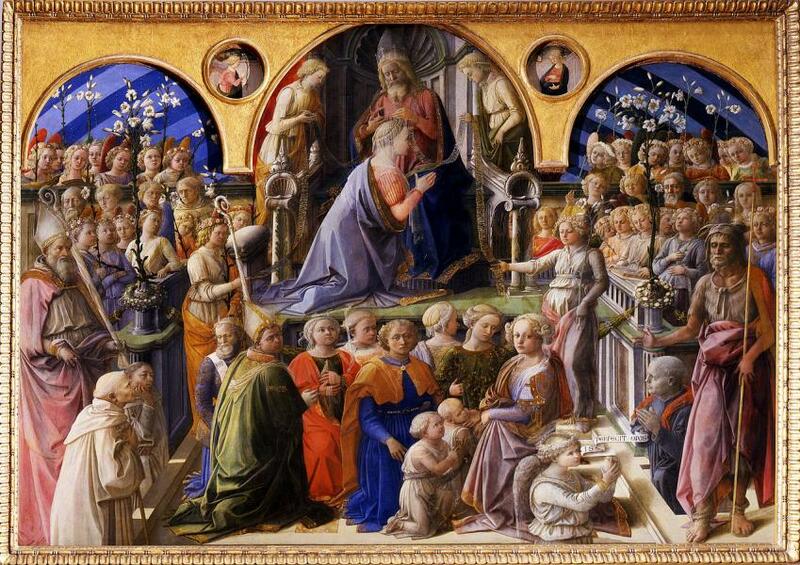 Lippi was a key figure in the increasingly complex, detailed painting of the middle 1400s. His works in Florence are in the Galleria dell’Accademia, Uffizi, the Palazzo Pitti and the Palazzo Medici-Riccardi. His last commission, a fresco cycle on the Death and Coronation of the Virigin was painted for Spoleto cathedral. When he died in Spoleto (dark rumours say by poison), the locals refued to allow the Florentines to take his body back to the city, so Lorenzo il Magnifico paid for his tomb in the cathedral, complete with an inscription composed by the humanist poet Angelo Poliziano.